We recently started working for the amazing folks over at La Famiglia Rana. 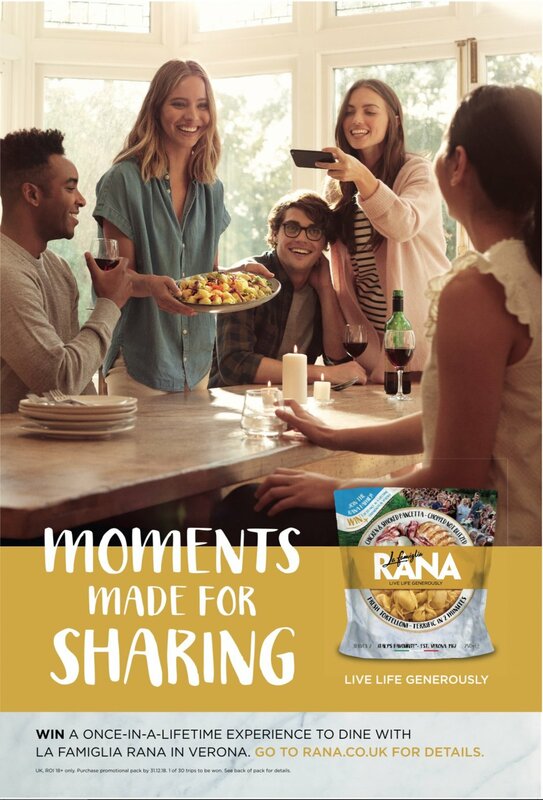 The Rana family has produced the most delicious fresh pasta for decades, starting from humble roots to become a global pasta giant, but always staying true to the craft, quality and passion for fresh pasta. 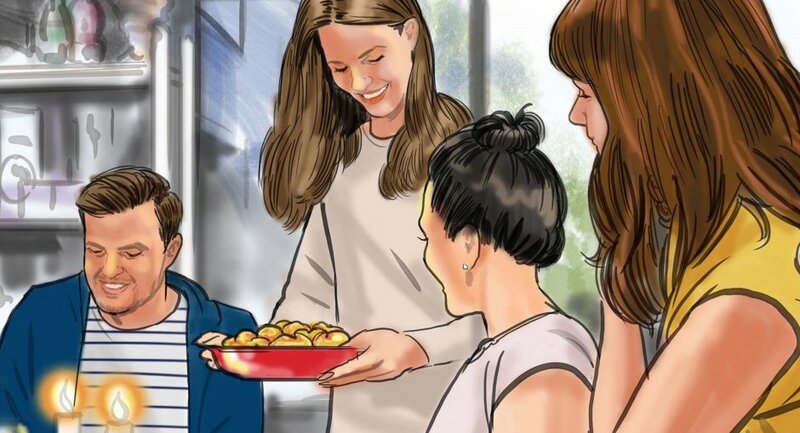 As well as being appointed to undertake all of their PR work as they launched their latest range of fresh tortellini in the UK, we also picked up our first advertising brief. 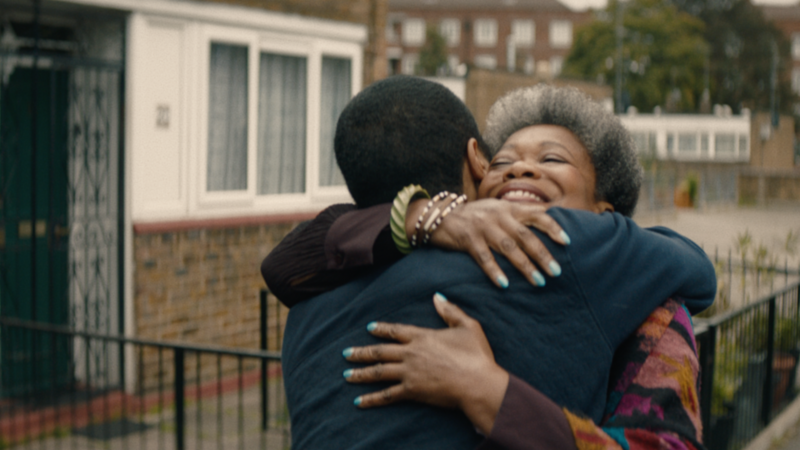 As part of their distribution push, we were briefed to deliver a national out of home (OOH), digital and social media campaign, as well as produce a premium spot to distribute as YouTube pre-roll, as social media advertising and in the coming months, on TV and in cinema. Rana wants people ‘live life generously’. 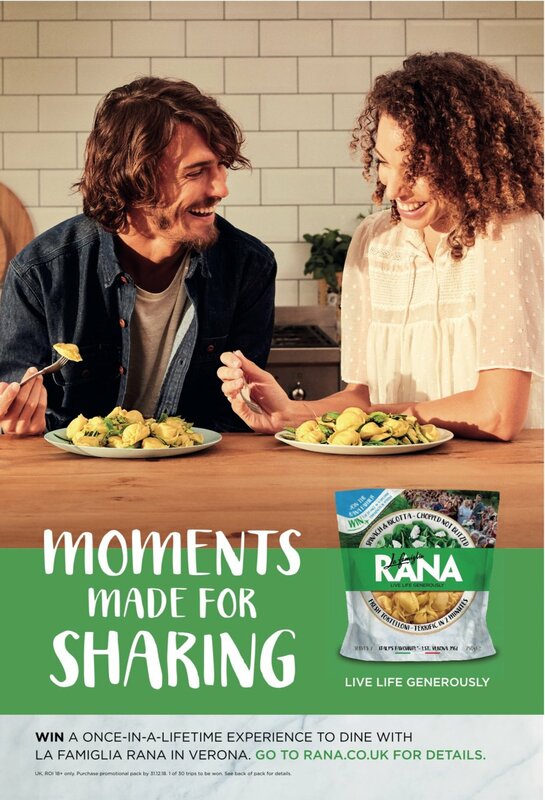 So the advertising campaign needed to reflect that sentiment, while also communicating the sharing ethos behind Rana pasta, the eating occasions, the real family behind the brand and of course the range of tortellini being released in the UK. No mean feat. 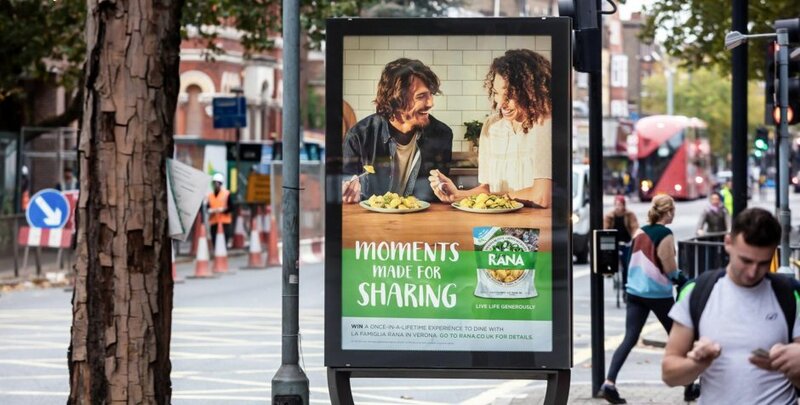 For the OOH and digital banner campaign we delivered a simple creative around ‘moments made for sharing’. 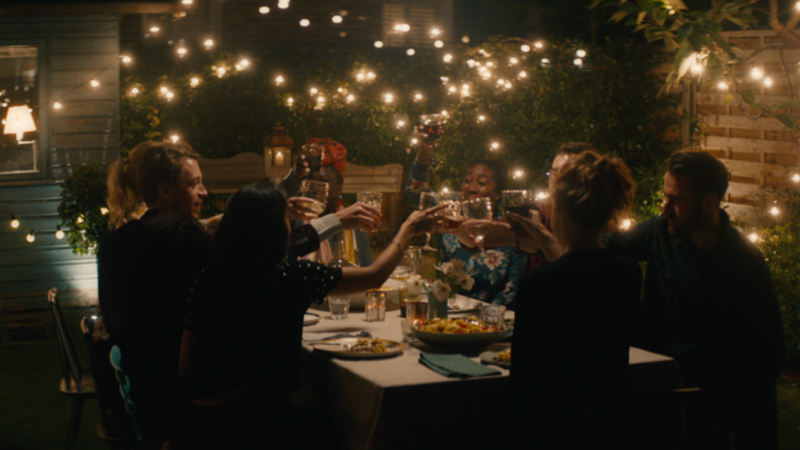 Working with our friends at Outpost we shot two creatives, one showing a group of young friends having a dinner party and serving Rana pasta, the other showing a young couple enjoying a mid-week meal of Rana in their kitchen. 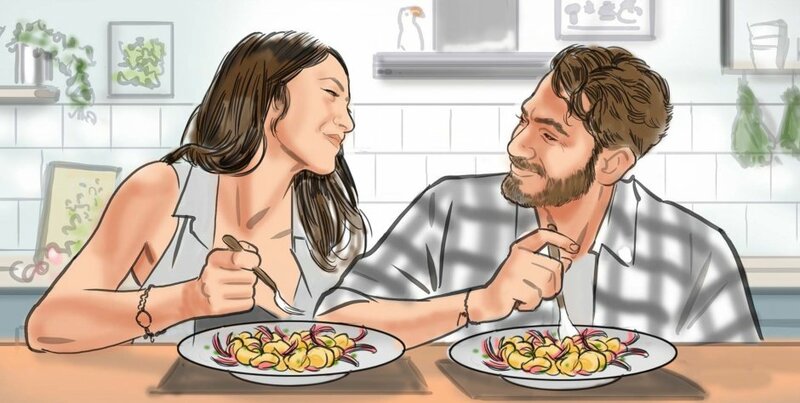 For the film, we were able to tell a longer story and depict the many positive emotional moments that can accompany eating a plate of Rana pasta. 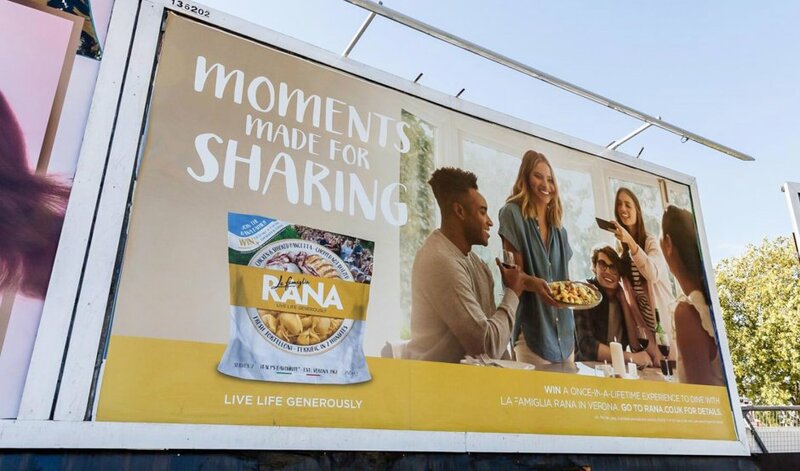 We worked closely with Villager Films to craft an advert in which we see see a number of different moments in our target audiences’ lives, including those moments of shared happiness and generosity that are facilitated and elevated by fresh Rana pasta. 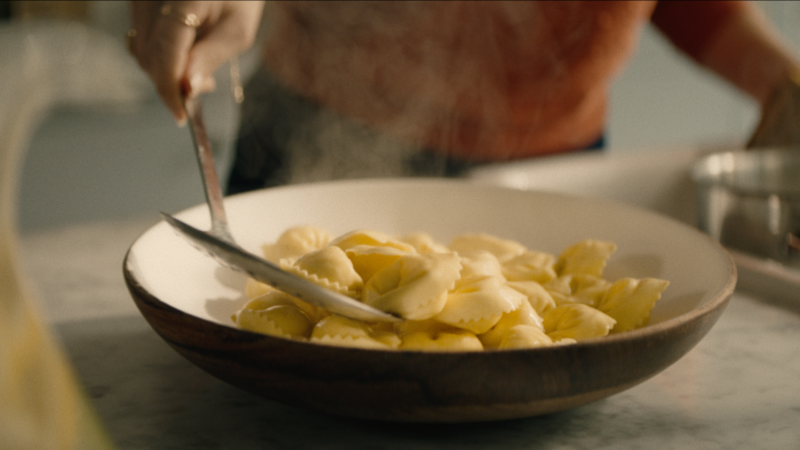 The spot was shot in London and Verona (home of La Famiglia Rana), with Gian Luca Rana himself providing a voiceover for a genuinely authentic feel. 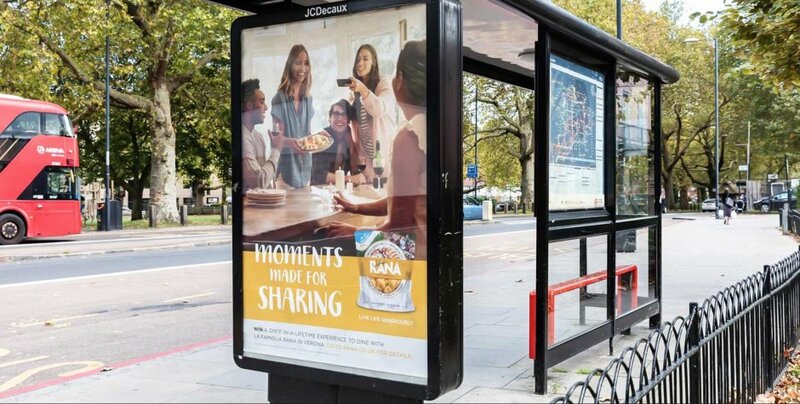 The advertising campaign has proven to be very effective, and has helped Rana meet its national distribution objectives. So much so that the campaign has been rolled out again for a second media burst.